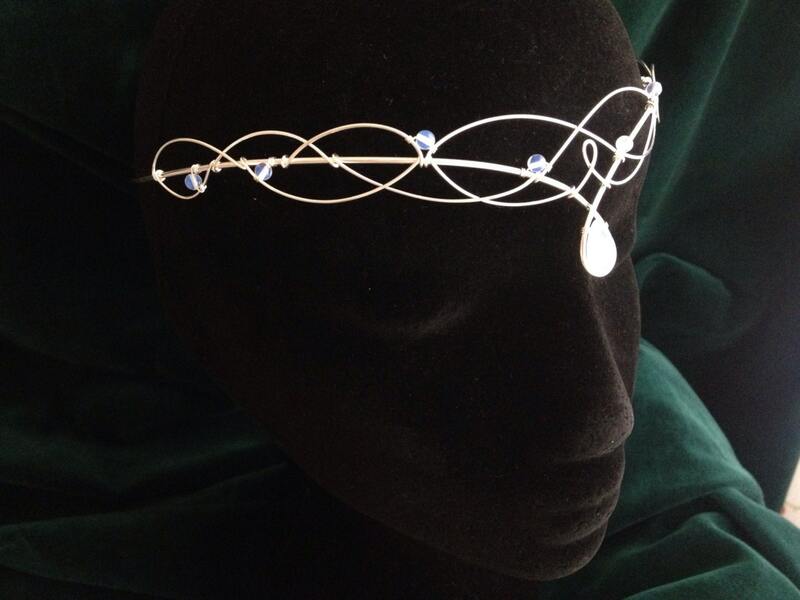 Beautiful handmade silver plated circlet which is crafted from just two lengths of wire to emulate traditional Celtic knotwork. Perfect for brides and bridesmaids, handfastings, re-enactment, elven, faerie, or pagan ceremonies. The circlet features a divine faceted opalite moonstone in the center and small round opalite moonstones around the sides. The circlet is open at the back with loops which allow ribbon or cords to be attached. 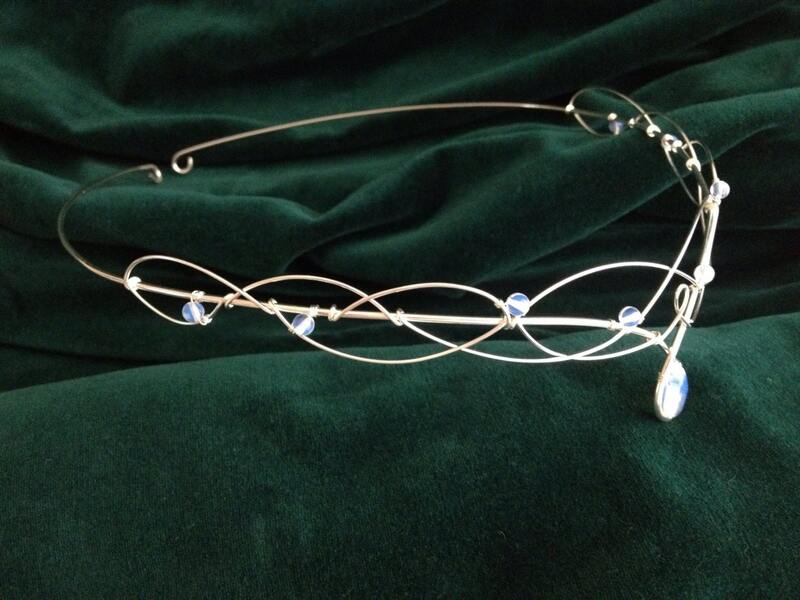 You can also pin the circlet into place if preferred. 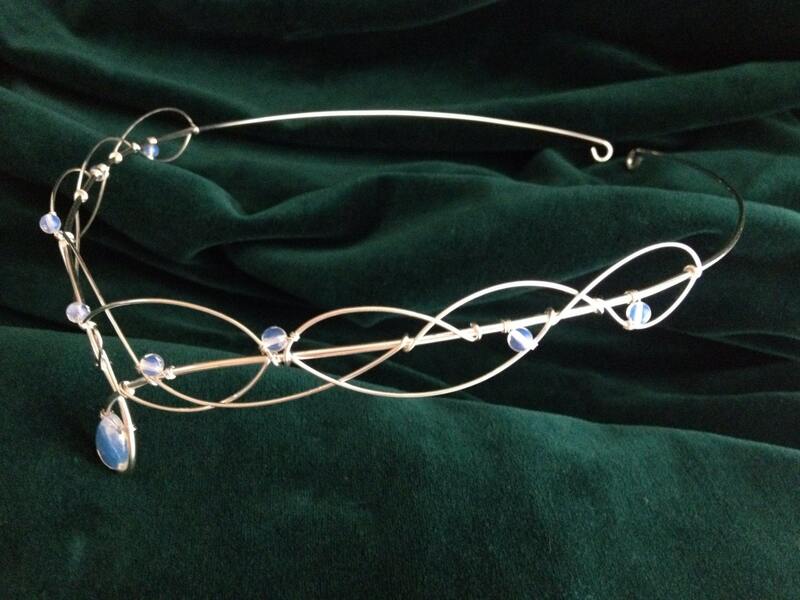 Because the entire circlet is handmade it is flexible and very comfortable to wear. You can happily wear this wonderful headpiece all day and right through the evening. The design element of the circlet measures 22.5cms (9 inches) across and 3cms (1 and a quarter inch) from top to bottom at the centre. The full circumference of the circlet is 52cms (20 and a half inches) if you would like it to be made bigger or smaller please leave a note when you order. Item shipped on time and was well crafted and as expected. 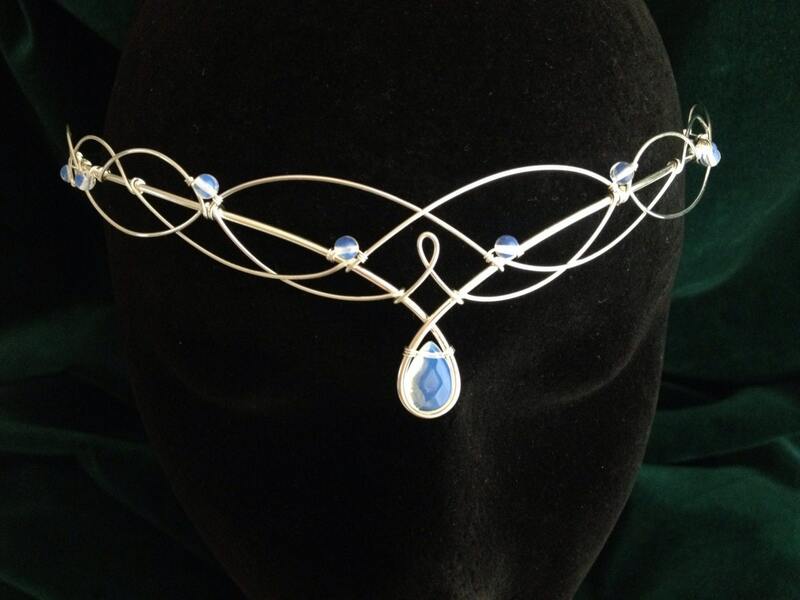 I ordered this beautiful circlet for a friend of mine. With its intricate design it looks really impressive and gives her the appearance of an Elven Queen. This item was shipped quickly, and looks exactly like the picture and fits beautifully. I will be wearing this in my wedding in August! Thank you!!! Item as described. Beautiful and fits comfortably. I cannot wait to wear it for my wedding. Thank You!! 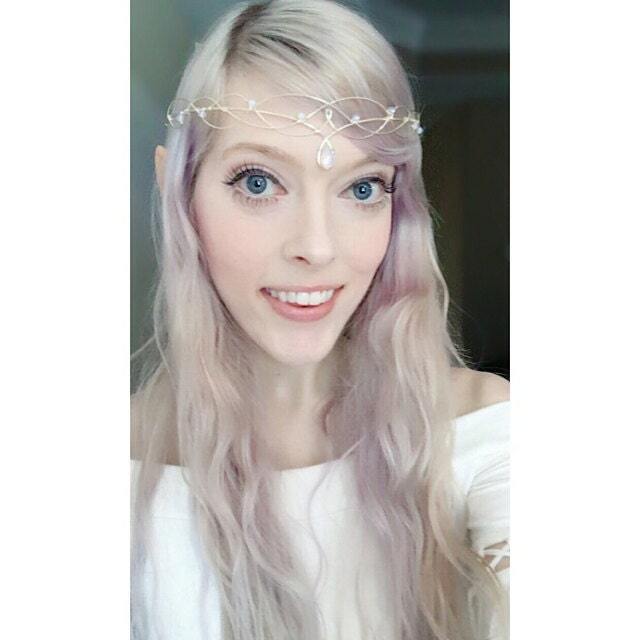 I ordered my crown for a special event in my life and was so happy when I found Sweet Elven Chestnut! She made my delivery experience smooth and quick and my crown is just as it appeared in the photos but even better in person. Her e mail response time is on point and she runs a fabulous online shop.